There will be 48 one bedroom and 17 two bedroom high quality apartments available to rent, suitable for couples or individuals. The rooms are laid out across three floors and can be accessed via stairs or lift. Each room has been designed with ease of access and comfort in mind. 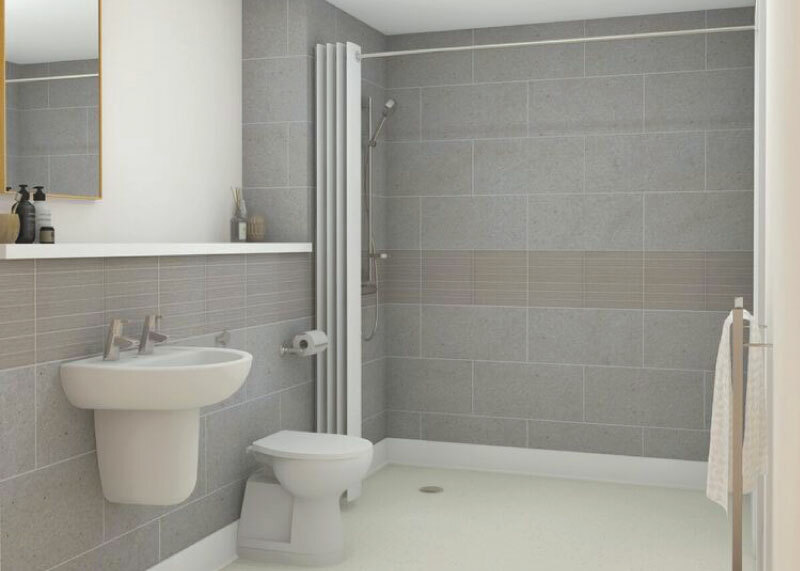 Each apartment will have a living space, kitchen, bedroom and bathroom as well as an outside terrace with enough room for a small table and chairs.The kitchen will be fitted with a full range of modern wall and base units and the bathroom will have a toilet, sink and level access shower. 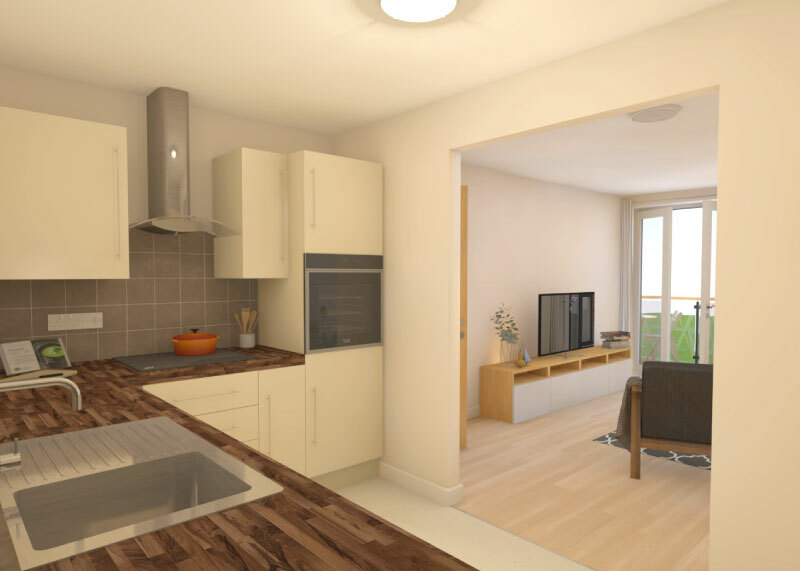 As well as stylish and accessible apartments, Primrose Gardens will also have multiple communal facilities including; a communal lounge, an overnight guest room, a pamper bathroom, a laundry room, landscaped communal gardens, a car park, a mobility scooter store, a high quality café, a fully equipped dance studio and a hairdressing and beauty salon. 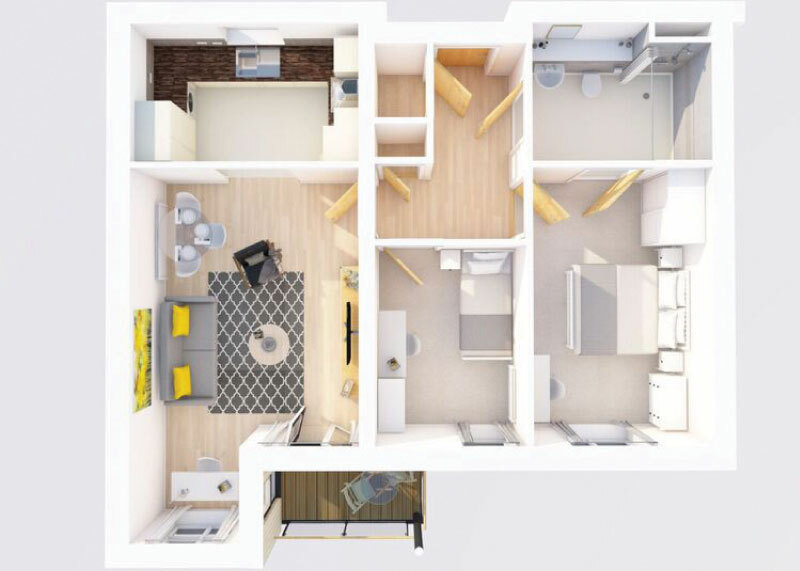 Please note – Interior images may not accurately represent the final scheme.